Looking for a quick dessert for your summertime parties? 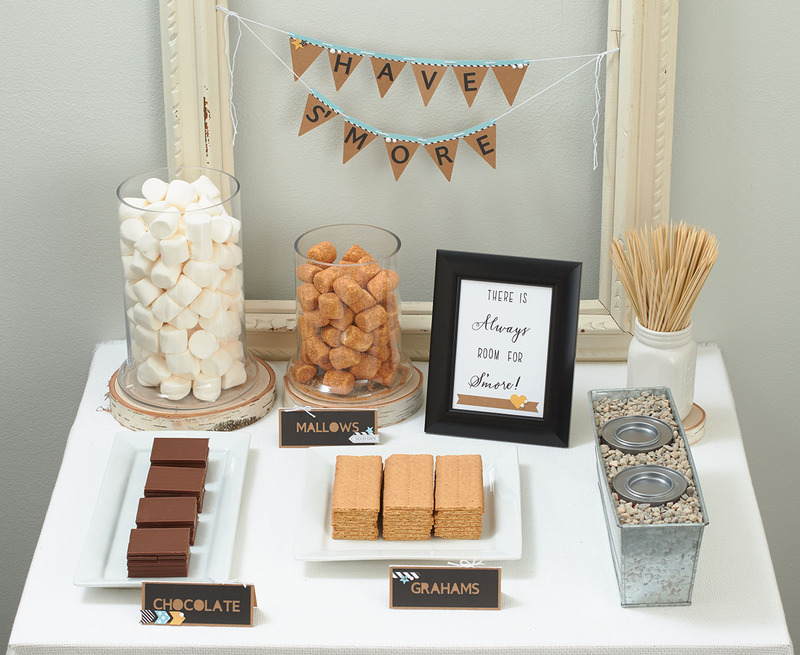 We’ve got you covered with this fun s’mores bar! Nothing beats the smell of roasting marshmallows on a warm summer night, and if you don’t have a fire pit in your backyard, this is the perfect solution! Simply purchase some Sternos (what you put under buffet food to keep it warm), and place them in a metal tin with some pebbles. Then your guests can roast their own marshmallows with wooden skewers. Your guests can eat dessert however and whenever they want! And of course we’ve got great ideas for dressing up your treat table, too! 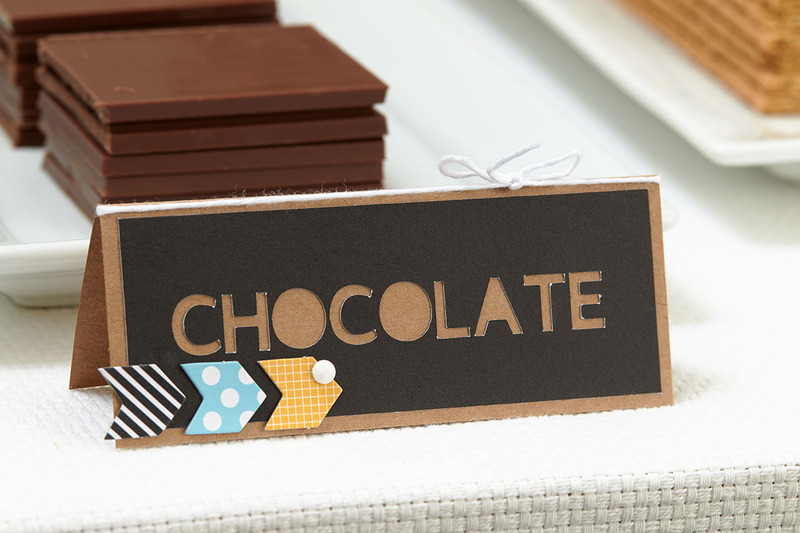 Create some cute cards to label your chocolate, graham crackers, and marshmallows. Here, we used some stickers from the Magical Complements to give the cards a little something extra. 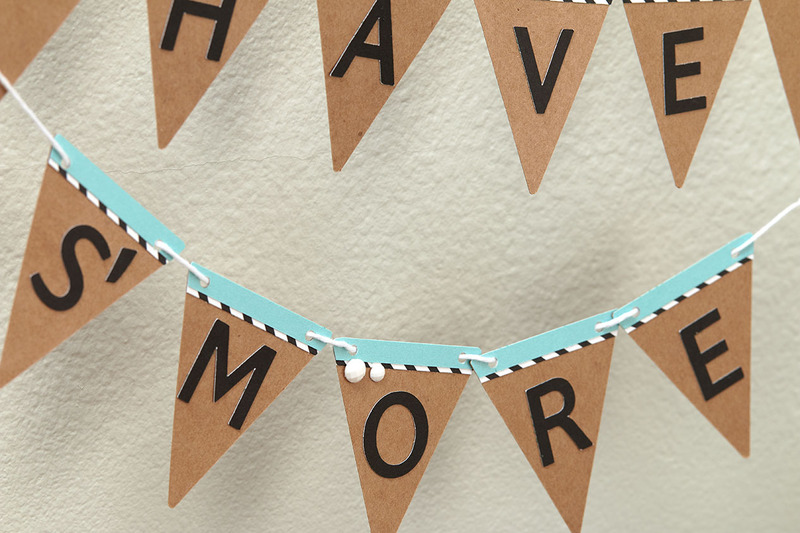 And no party décor is complete without a banner. This one is strung up in a picture frame to let guests know they can help themselves to seconds (and thirds!). 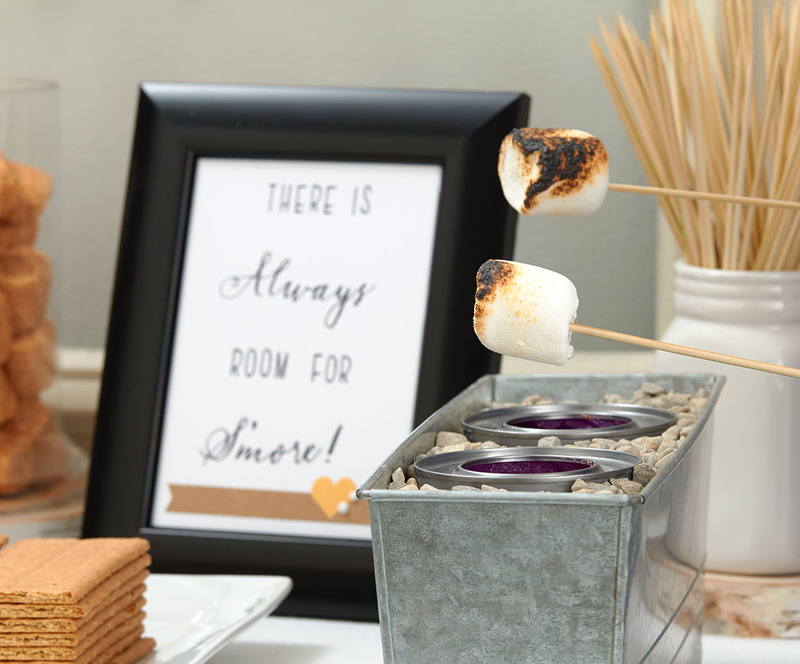 No matter what type of event you’ve got going on, adding a s’mores bar is a great way to satisfy everyone’s sweet tooth. Now we want to hear your ideas! How would you customize your s’mores bar? Tell us in the comments below. *Created in Cricut Design Space™. Use Real Dial Size setting if not using Design Space.